Offering powerful enterprise-grade PBX, intelligent inbound number management and a multi-channel contact centre, storm offers the brand and reliability of Panasonic with an unprecedented breadth of features and scalability. Thanks to its highly scalable cloud model, storm can flex to meet the requirements of businesses of any type or size, from large enterprises down to the operations of a single user. Enterprise-grade solutions can be rapidly deployed without the need for lengthy setup processes, and with minimal capital investment. Every deployment can be tailored to the individual requirements of your organisation. A single storm solution can be used to provide the complete telephony infrastructure of an entire multi-site organisation. Alternatively, storm can overlay existing systems to provide additional functionality, breathing new life into legacy investments. A telecommunications system that delivers highly intelligent IP-PBX and voice over IP (VoIP) capabilities for any type or size of organisation. The system provides an advanced call-handling platform in the cloud, capable of integrating with any third-party hardware and software infrastructure. A powerful cloud-based contact centre solution, capable of delivering automated contact distribution (ACD) and full computer telephony integration (CTI) functionality for any size of organisation. A powerful and comprehensive solution for cloud-based number management and intelligent call routing, providing a one-stop-shop for managing all your numbers –geographic, non-geographic and international. A means for you to take advantage of IP without having to replace your existing system. A SIP gateway connects to legacy PBX equipment that would not otherwise support an IP voice connection. Using this option, your organisation can gain all the benefits of cloud-hosted voice services without the need to replace existing hardware. Through the storm Service Portal, intuitive interfaces enable you to self-manage your SIP Trunking settings, giving you full control. A powerful statistical reporting and data analysis package that can be used to present management information, real-time and historical, and to monitor system performance and activity at a glance. Information is presented using multiple ‘tabs’, which you can set up yourself to show exactly the information you need to see (and share with other users). A flexible, cloud-hosted application which provides storm users with always-on or on-demand call recording with integrated call archiving and assessment capabilities. Recordings are stored on resilient parallel servers with effectively unlimited capacity for round-the-clock availability. 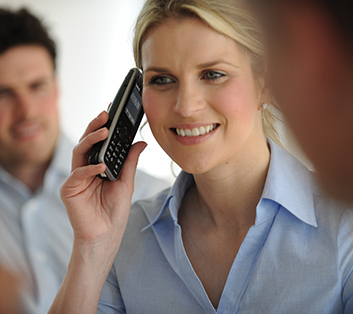 An intuitive drag & drop tool for the creation of advanced IVR call treatments. The application’s user-friendly web-based interface provides a secure, easy-to-use environment for the design, testing and implementation of custom services. As storm is a cloud-based platform, all core hardware and software already exists in the network and is provided as a service. Deployed over two secure data centres and built to ensure no single points of failure, the storm platform is designed to ensure 99.999% platform availability – even during peak times.